Connecting Canadian workers with Canadian businesses – it’s a Canadian solution! Mobilize is an innovative national employment program – and a call to action for smart, interested people looking to work and travel within Canada. Designed to connect Canadian employers with the semi‐skilled labour they need, it provides businesses with people from across Canada eager to work and experience new parts of the country. While the program has been very popular with millennials (typically workers between the ages of 18 and 30) because it helps address youth unemployment, Mobilize welcomes anyone of legal working age that meet our requirements. Mobilize is backed by over 30 years of experience as a trusted international recruitment agency. The program has been a great success in Canada – having deployed close to 1,200 Mobilizers in positions across the country over the past four years – and is growing every season. With its ethical approach and proven process, Mobilize guides Canadian businesses through the complex recruitment process, protecting their brand and delivering great fit candidates that solve their labour challenges. 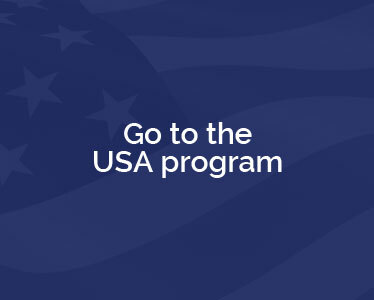 The program has expanded into the United States and the second season of American workers are deploying in October and November of 2018. Visit the U.S. website. Mobilize places workers on rotational placements each summer and winter, supplying tourism, hospitality, resorts, golf courses, food services and landscaping/agriculture businesses with a continuous supply of hard-working employees. Mobilizers rotate to different locations seasonally so businesses always have fresh, motivated staff. Read more. Mobilize is a member of the following industry associations across Canada.